The Haute Grandeur Global Spa AwardsTM was established as an independent and unbiased initiative to honour the very highest achievements from across the global hotel industry in 2014, recognising exceptional contributions by outstanding spas with Marinique De Wet as CEO at the helm. This prestigious Awards system is exclusive to the Haute Grandeur brand, and considered without equal because of its method. Unbiased results are guaranteed by placing emphasis on quality feedback from guests, rather than quantity of votes by a panel of judges or general public. 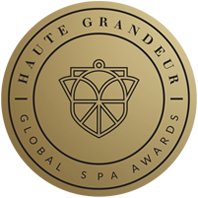 The Haute Grandeur Global Spa AwardsTM promise to raise service delivery levels by means of awarding only the very best in the industry. It aims to focus on Spas that do not want to win the “average” award and celebrates the very best in Spa experiences across 7 continents, 172 countries and 32 categories. Participating Spas are generally seen as the benchmark in the industry as they create awareness about the value and importance of constantly raising the bar of excellence. The value of a Haute Grandeur Global Spa Award is powerful in terms of its ability to boost marketing and promises to have a direct impact on guests perceptions and revenue. It provides the much needed inspiration that Spas look for by identifying role model properties across all continents in order to further raise their current levels of service delivery to even greater heights. The annual Awards Gala Ceremony where winners are revealed, is not only the most dazzling event of the year on the luxury Spas industry calendar, it also highlights the values of leadership, hard work, dedication, ambition and success. This event takes place each year in a different exotic location and offers Spa Owners, Managers & Directors in attendance new networking opportunities. The Haute Grandeur Global Spa AwardsTM provide spa-goers with a trusted source of Award winning Spas to choose from when booking their holidays or business trips, knowing that our winners have been hand-picked and rewarded for overall excellence on many levels. The Awards aims to be regarded as the largest & most trusted Awards initiative in the world with a rating process that is transparent and fair. For the Spa industry winning a Haute Grandeur Global Spa Award is more than an Award it provides the public with a golden stamp of guaranteed excellence. To find out more about the Haute Grandeur Global Spa AwardsTM click here.